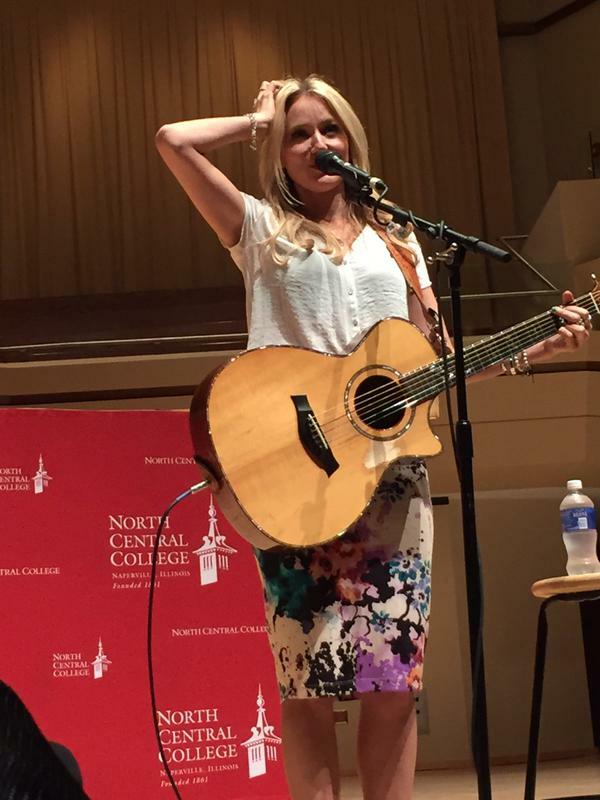 Jewel, author of Never Broken, 7PM at Wentz Concert Hall, 171 E. Chicago Ave. on the campus of North Central College. Robb - are you going? I might see if I can come work in Chicago and go! I'll bet the folks in Kentucky will be perplexed by this information. Jessica....its a maybe, I just called and they said it was a signing but also odd that it is off site at a performance hall and requires tickets? Anyway, looking at a map, Naperville looks wicked far from Schaumburg, where I like to stay. Singer-songwriter Jewel will perform and discuss her new memoir, "Never Broken," during an appearance later this month on the campus of Naperville's North Central College. Her appearance is scheduled for 7 p.m. Tuesday, Sept. 29, in Wentz Concert Hall, 171 E. Chicago Ave. The program is sponsored by Anderson's Bookshop and tickets will be available with the purchase of the new book at the store, 123 W. Jefferson Ave., in downtown Naperville. For details, call (630) 355-2665 or visit www.andersonsbookshop.com. Already a best-selling poet, Jewel's new book explores her unconventional upbringing and extraordinary life in a memoir that stretches from her childhood to her career, marriage and motherhood. Jewel's first album, "Pieces of You," rose to the top of the charts in 1995 and she since has sold more than 30 million albums worldwide. Her latest album is called "Picking Up The Pieces." She learned to yodel when she was 5 years old living on a homestead in Alaska and joined her parents' entertainment act, working in hotels, honky-tonks, and biker bars. But she also was dealing with instability, abuse and trauma and by 15 had moved out and soon was accepted by the Iterlochen Arts Academy in Michigan where she began writing her own songs. She was 18 and homeless in San Diego when a radio DJ aired a bootleg version of one of her songs and by 21 her debut album had gone multiplatinum. Since then she has received four Grammy Award nominations. She is the founder of Project Clean Water, and author of the best-seller "A Night Without Armor: Poems," as well as two books for children. She lives in Tennessee and Colorado with her son. They finally updated the calendar, its no reserve seating and 40 bucks gets 2 people in and 1 book, this actually works out good because I will already be off that day, might have to drag the kids with us but thats fine. Jessica, Naperville is less than a hour from Schaumberg(28 miles). Edit...went abead and purchased the companion package and will get another if we can't get a sitter that night. Was gonna go to the Detroit signing, but am doing this one instead! So excited! Wow, I wish I could be there, or that Jewel would come to Europe again sometime. I can understand that she doesn't, but I'm afraid I will never see her live again. Just got my email confirmation for this! Live stream is over. Replay will be available for 24 hours then it's gone! I tried watching that, but the echo in the audio made it so intolerable that I had to stop. It was nice to see while it was fresh and live. All things Periscope hate me. You didn't think I would spell it out, didja? Not dead yet, though. I'll have to catch up on things in a day or two.